I don’t believe everything this article, but its makes for an interesting read. I think that a lot of the attributes that Jordan Taylor Sloan writes about apply to most musicians, not just guitarists. 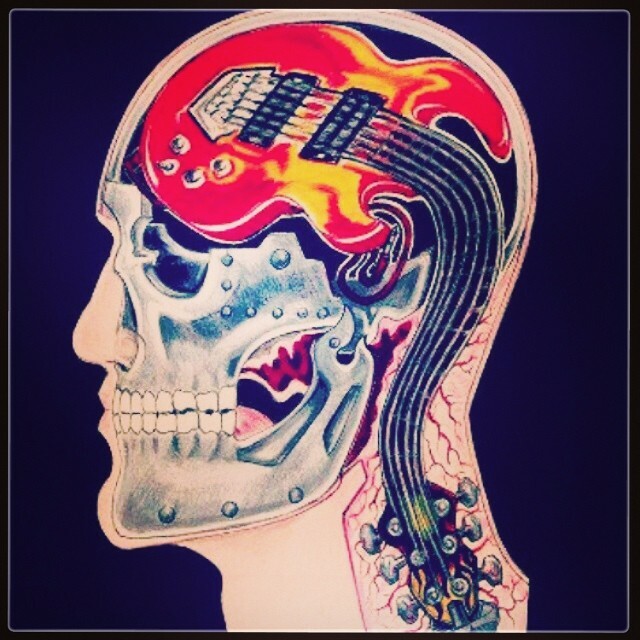 I think that the idea of guitarists’ brains synchronizing during play is really an ability to anticipate changes and understand the chord progressions of a song and then improvise around it. The idea that the part of the brain that deals with big-picture goals shuts down and their unconscious takes over is also what I always see experienced players talk about on Talkbass. They’re usually speaking about learning music theory to a point that you can “forget it” and just play, and that you’ll be able to reflexively/unconsciously use that information from either muscle memory or an ingrained second nature. I’ve seen that with video gamers and martial artists as well, so maybe its 10,000 hours all over again. This isn’t directly bass-related, but as a history piece I found it interesting. Its an article that goes into the history and permutations of the melody in Twinkle, Twinkle, Little Star. I’ve known for a while that its the same melody as Baa-Baa Black Sheep and as the ABC song, but I never knew that there were additional verses from a poem by Jane Taylor from back in 1806. I also didn’t realize that there were so many different variants of the song from other countries and cultures (Mandarin, Tagalog, Arabic, German, etc.). The last few paragraphs also examine the musical structure of the song and why it appeals to so many people – including the different reasons that adults and children might enjoy it.